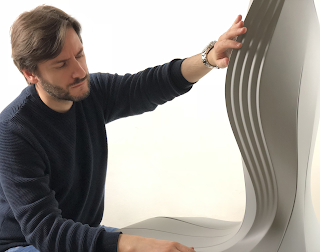 On the occasion of the 3rd Italian Design Day and of the Sydney DesignFestival 2019, the Italian Cultural Institute in Sydney (an official body of the Italian Ministry of Foreign Affairs) has invited Arturo Tedeschi, architect and computational designer, as a guest speaker of the event Inside Italian Design: Beyond the Glossy Cover. Arturo Tedeschi, based in Milano (Italy) and worldwide known for his avant-garde work and for the best seller AAD Algorithms Aided Design, promotes a new approach that merges innovative fabrication techniques, algorithms, virtual reality, and AI. Arturo develops all his projects using Rhino and Grasshopper.